My 4-year-old starts preschool in a few days. 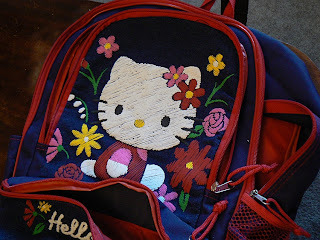 Her name needs to be on her backpack and I was itching to embroider it. I used wax paper as a tear-away stabilizer substitute. 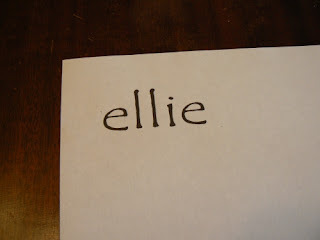 I printed out her name. 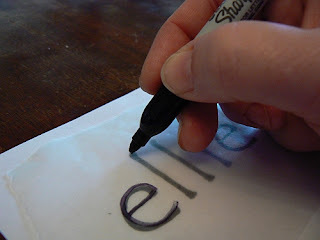 Put a piece of wax paper over the name and traced with a Sharpie. Pinned the wax paper to the backpack. 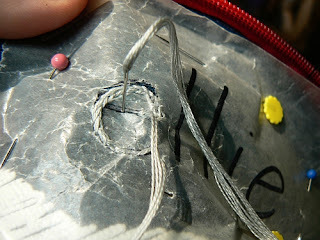 Started stitching. I used "old faithful", the split stitch. I noticed that it helped to move the left pin over as I completed each letter. It helped stabilize the wax paper in the middle. Tear away the wax paper. It tore away very easily. I used tweezers to get any bits of paper that were stuck. What a great and helpful idea! Thanks so much..I'm going to try that. 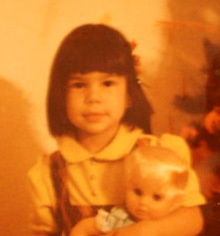 The backpack is adorable, by the way. Did you use a single strand of embroidery floss, or is it doubled up to get that thickness? I never would have thought to use waxed paper! It came out great. Very clever idea! madmommy - I used all 6 strands of floss. It went through the fabric easier than I thought it would. If any of you try this method let us know! I wonder if that would work on acrylic felt as easily. Great idea, who wants to have to spend the extra money on something like stabilizer? What a great idea!!! I'm absolutely going to use this! 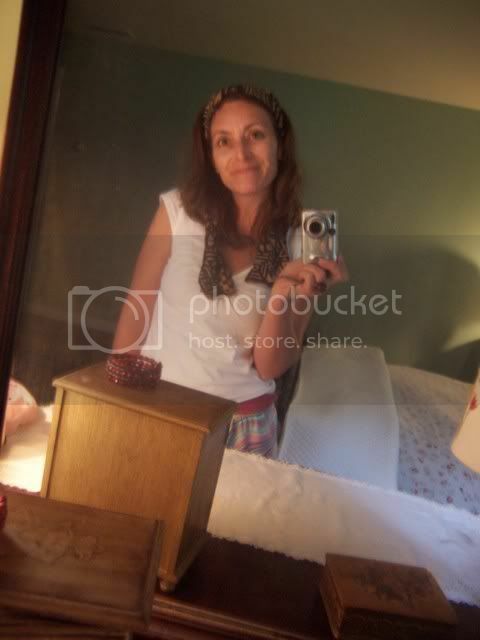 Oh, thank you so much for sharing this! 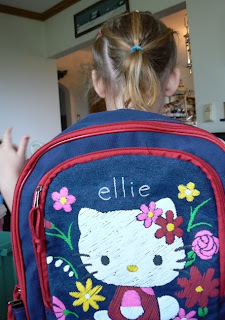 I want to stitch my daughter's name on her bag too. I use that method all the time. I usually let the sharpie dry for at least an hour before I start sewing, because I tend to see color transfer otherwise. This technique works well for larger projects also. I use it to make my own inserts in store bought potholders, and the fronts of baby bibs-- both as presents. ha! ... i love this idea, i need to do the same for my son... thanks! Thanks for sharing this with us...great pictures. What a blessing you are! we are waiting on another adoption-come meet us! I've never heard of this method. 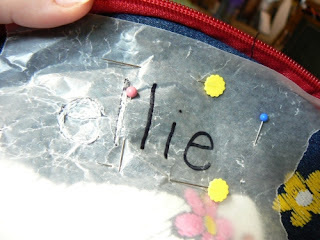 is this for embroidering on things other than fabric, or just when you don't have a hoop, or was it simply so you didn't have to transfer the pattern to the fabric? Like - on jeans? I just hand embroidered some additional color on my daughters' jeans. It went ok - would it have been easier with wax paper? This is a great idea! 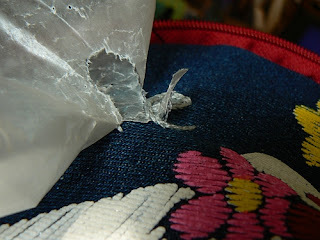 Can I use wax paper if I want to stitch on cotton t shirts as well? Would freezer paper work too? I was taught to Appliqué on stretch or woven but cutting out your design in fabric and fusing with interfacing, fuse that to the garment with double sided webbing like viladon or using no more pins ( I have even pinned it) and then place greaseproof paper behind as a stabliser so you are sewing through the garment and the paper and then stitching around the edges in a tights satin stiitch ensuring to cover half of the stitch on and half off the applique'. Have never used freezer paper though in Australlia spotlight has it under their dress counters. What a cool way to label your things! 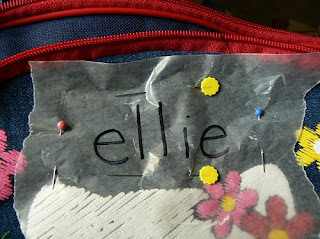 I love the idea of hand stitching Ellie’s name on her backpack. That way, her bag can be returned to her in case it goes missing. Plus, it looks so cute, and it made the bag a lot more attractive. I’m sure your daughter loves it!